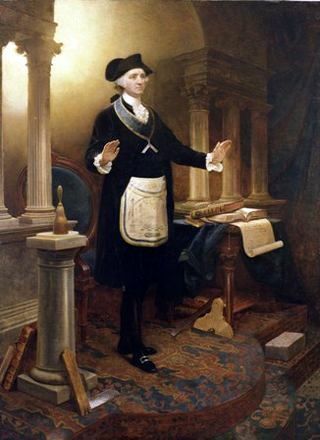 My Brethren, the subject of Masonry and its connection to the Founding Fathers and the American Revolution has inspired much research and heated debate. The progression of history has accepted the Craft as a mere footnote in the events that lead to the founding of our great nation, when in actuality the Masonic philosophy was a driving force behind the social change of the enlightenment era. Masonry and its rich ideals and virtues changed the social consciousness of the founders to accept social justice not only as inevitability but as a duty they owed to God and the common lot of humanity. They accepted the responsibility of bearing the sword of justice and the torch of destiny and stood strong against the tyranny of kings and monarchs. The Founding Fathers were really rebelling against the claim of a man that it was the will of God that he is ordained to rule. The Founders saw the darkness of this system, that it was based upon ignorance and fear. Their goal was to lift humanity towards the light of political liberation and democracy, as they also believed it was the will of Deity to institute this change in history. The Grand Lodge of Massachusetts addresses the Masonic influence in the American Revolution when they write to George Washington December 10, 1792. 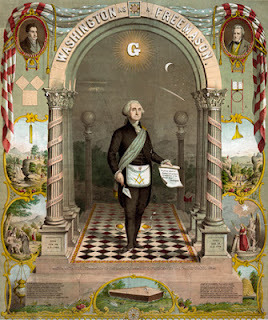 Out of all of the Founding Fathers no man is more revered in American Masonry then George Washington. In fact he was almost dubbed the title Grand Master General, or Grand Master of North America, before he declined as an act of humbleness. Washington has become an almost archetypal figure of the Masonic and American character. He stands as an ideal, a symbol for the courage to fight for freedom and not to accept the whims and dictates of those who claim authority not given to them by the consent of the people. But what were Washington’s true feelings and thoughts on the craft? What were his concerns on the new nation he forged out of steel and bullets? Washington was a strong proponent of the Masonic philosophy and how it helped shape his character into the strong leader that we venerate as a champion of liberty. 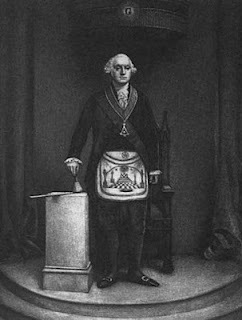 Washington addressed the nature of a true mason when he wrote back to John Cutler, Grand Master of Massachusetts on December 27, 1792. Washington addressed the philosophical mind state of a mason as being concerned with the virtues of the heart. A Mason should have a strong sense of compassion and mercy toward his fellow man. We can see this concept echoed in the Masonic teaching of “Charity” and “Relief”. That is it the position of a Mason to relieve the distressed of those who are afflicted by strife and to offer a hand of charity to help those who do not have the needs to stand for themselves. This sphere of social happiness is the sphere in which this philosophy spreads into the national character. Washington also addresses that this sphere must exist upon the backbone of truth and justice. This truth and justice is the foundational belief that all man is created equal. It is not wealth of privilege that creates a higher class of citizens; this was the belief of the world. In the new world the virtues of the individual would be the basis for social esteem. So this sphere of happiness could not exist within the old system of belief and government. So it is the true duty of the Mason to shield the oppressed and stand up for justice and truth. A Mason shall not stand idly by as his fellow man is exploited by the privileged and powerful. This is the benevolent design of the Masonic institution that American government implemented, that no one could rule without the consent of the ruled. Those who are self-serving will not exploit us as a people. A true leader, like a true Mason, is interested in the welfare of others and will stand in defiance of tyranny and injustice. It is these ideals that are instilled into every candidate upon the checkered floor, the nature of both good and evil. Washington believed that this new form of government by the people for the people was the great social change that Masonry offered the world. It was the great plan implemented that when established would inspire the rest of the world to throw off the chains of monarchy and take up the cause of truth and justice. “Of these (Masonic teachings) may you partake in all their purity and satisfaction; and we will assure ourselves that your attachment to this social plan will increase; and that under the auspices of your encouragement, assistance and patronage, the Craft will attain its highest ornament, perfection, and praise. And it is our ardent prayer, that when your light shall be no more visible in this earthly temple, you may be raised to the All Perfect Lodge above; be seated on the right of the Supreme Architect of the Universe, and there receive the refreshment your labors merited." Revere discusses how if a man takes in the Masonic teachings in purity and without polluting the truth and universality of it you will understand that this social plan of the Masonic character is assured to be just and true. 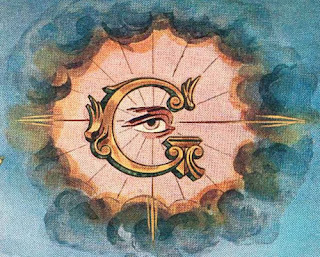 Revere believed that the Craft would reach its apex of influence when all members adopted this plan to indoctrinate Masonic values into the American character, thus creating a nation of the highest virtue and moral culture. Revere uses Washington as an example of how his Masonic character is a shining beacon of light that we must all adhere to become like. Washington responded to Revere on April 24, 1797 and further addresses the Masonic character as being selfless in nature. He claims the true reward to the Mason is the betterment of himself through his morality bringing himself and society closer to God. Washington writes. In this Washington shows that the American character should be self-sacrificing in its display of justice and charity. He says his fullest reward of all his earthly labors is that the All Seeing Eye of Providence has blessed their endeavors to liberate mankind politically, thus reflecting honor and the interest of the Craft. In this statement he expresses his belief that God has blessed the Masonic agenda of social justice. To establish a new form of government, and that it is the duty of Masonry to aid in the American destiny of the liberation of humanity. This is the proper attitude of the true Mason. To do what is right and strive to benefit others with no hope for monetary value and reward, only that honor be reflected upon the Craft and society profit through God’s will. So as we look upon the Masonic Character what do we see? 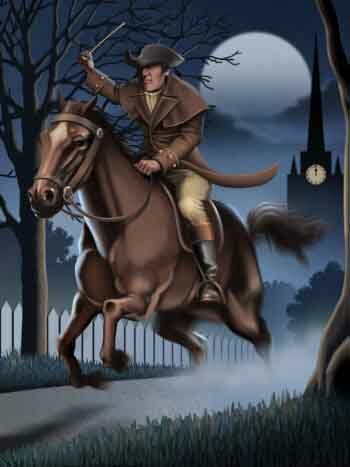 From the writings of Revere and Washington we see a man dedicated to serve and protect others. A True Mason understands how the ideals of the Craft can change the character of not only an individual, but also a nation. If the Founding Fathers had not held these virtues and ideals so close to their hearts, in what kind of a nation would we live? Would they have proclaimed themselves rulers to satisfy only their own self-interests? Would they have exploited the people to benefit only themselves? It is a scary thought to think that the American principles could have never existed. But it was the belief of the Founding Fathers that the virtues and ideals of the Masonic institution were a intricate part of the destiny of mankind and the will of God. So when we as Masons lost sight of those truest of virtues, when we join a group for only a lapel pin, or we step outside the length of our obligation, let us remember that the virtues we enact are a central part of God’s plan to liberate mankind from the darkness into the light of individual duty and justice. Let us learn from the example of the Founding Fathers, who resisted all temptation to oppress and exploit, but to remain steadfast to the virtues of the craft and to the obligation that makes good men better.